Striata Posts Why aren't utilities converting to paperless processes? Why aren't utilities converting to paperless processes? Utility companies aren’t known for being great communicators and they’re equally not recognized as being digitally-savvy when it comes to communication. For the most part, utility companies only communicate with their customers to send them bills and unsurprisingly, J.D. Power’s 2017 Residential Electric Utility Customer Satisfaction Study found that more than half (57%) of utility customers do not recall receiving communications from their provider (that is beyond the bill). While some utility providers have made moves to provide limited services through online portals, utilities haven’t progressed as much as other sectors on digitizing customer service processes. However, adoption of paperless processes in this sector isn’t inhibited by security and regulatory concerns, as it has been in many other industries, but rather by limited digital engagement, which has caused stagnation in digital document growth. For customers, portal paperless processes are cumbersome and difficult to use. They are unlikely to go through the long process of signing up to a portal, if they are only going to access it once a month to get their bill. If utilities do not make it easier or offer anything new to entice customers to go paperless, the adoption of paperless processes will continue to stagnate. Why should utility companies drive paperless adoption? Because it’s costing them money. The high cost of printing and posting paper bills and not maximizing the adoption of paperless processes puts unnecessary pressure on operational costs. Paperless processes, such as email billing, provide opportunities to further streamline other processes – for example, offering a one click payment option directly from within the bill to reduce Days Sales Outstanding (DSO). Customers want a personalized experience, with customized services and products and are willing to pay more for it. Not responding to this demand will result in disengaged customers, who deal with their service provider begrudgingly. Utilities need to commit to the digital wave in order to maximize paperless adoption. This means making it easy for the customer to engage digitally, which includes how they receive and pay their bill. Merely having a portal from which the customer can access their bill, does not fulfill the requirements of a digital customer looking for ease of use. How can utility providers drive digital transformation? Digital transformation requires the right approach and technology to be seamless and convenient for customers. Utility providers should be investigating digital options that provide the easiest way for customers to not only choose go paperless, but also to receive their bill. 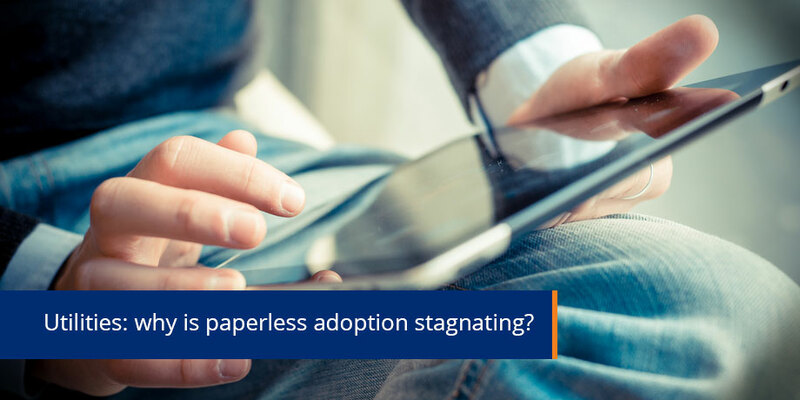 Providing more digital options that are easier for the customer will help revive stagnating paperless adoption rates. According to a recent study, 54% of residential customers prefer digital communication over any other form of communication. Utilities need to think about using other channels, such as email, for all customer communications, including bill delivery. It’s time for utility providers to step up to the digital challenge. Originally published on Energy Central. Take the first step today – delight your utility customers by providing a secure, interactive, useful digital document that helps them pay, update details and set payment reminders – whether on their desktop or mobile device. The enhanced customer experience will boost your paper turn-off rates and deliver a significant reduction in your customer communication expenses. Mia heads up North, Central and South America operations, overseeing sales, client services and operations management. 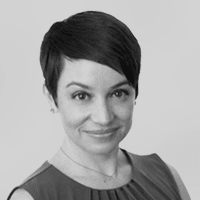 Mia is passionate about ensuring that all solutions implemented meet the best fit criteria for each client and deliver the best user experience for their customers. She is a regular blogger and speaker on the subject of email communication and has built a reputation as a thought leader.